I don't consider myself a tech nerd but after purchasing Plus version(3.3.2), I can't find the Hot folder configuration. All images I've check online regarding this feature point to older interfaces. The help itself is text based, no images, no video...arghh. Anybody kindly point me a picture to where the heck is this configuration? 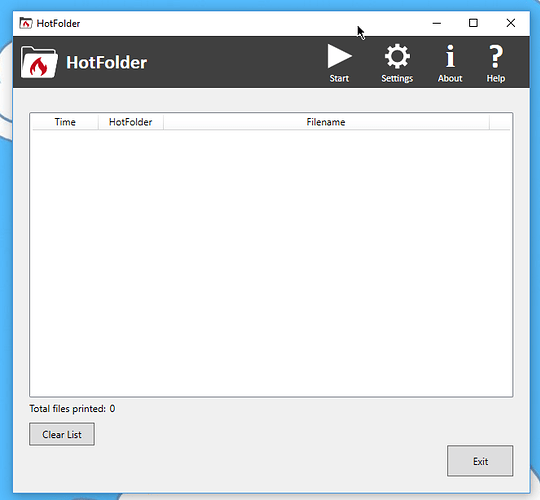 did you install HotFolder? If so, you should find it using the Windows Search. A wizard should show up and guide you through the initial setup. 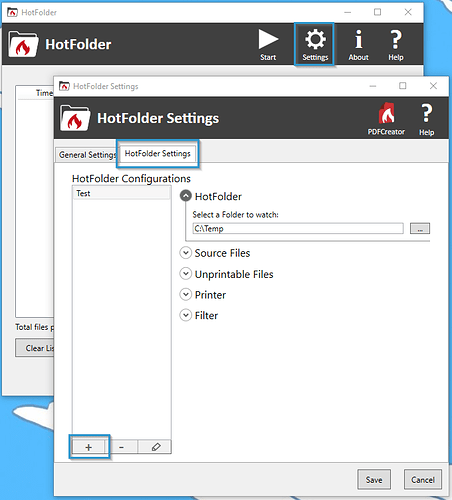 If that's not the case, click the settings button and in the new window, click on HotFolder Settings. On the site, Hot folder is "sold" as a feature of PDF Plus, not a separate executable that you need to run independently. Thanks for the info! It's now working.